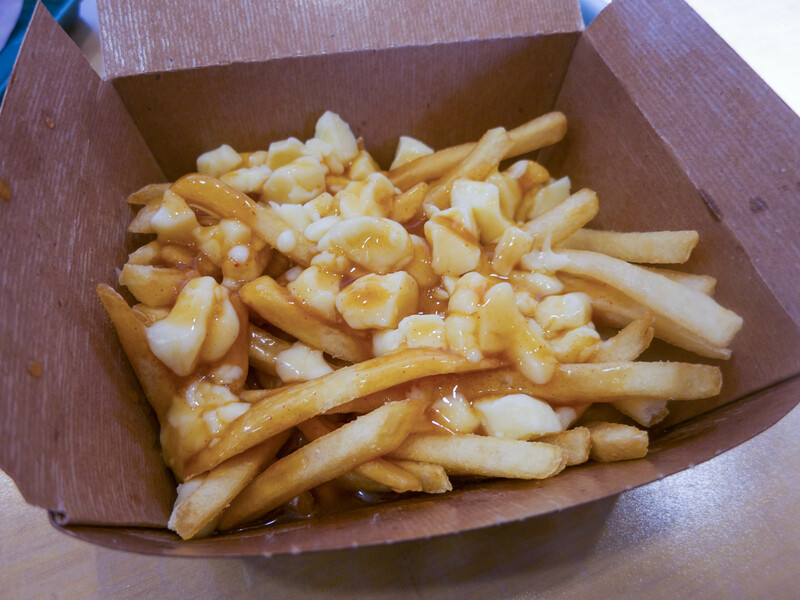 A few days ago McDonald’s launched poutine on its menus across Canada. I have a love/hate relationship with McDonald’s and I try to avoid going there, but when I saw the new poutine I immediately wanted to try it. The poutine comes in one size and you can also upgrade your fries in a combo to poutine. They were pretty generous with the cheese curds, which surprised me. They were the melty kind of cheese curds as opposed to the traditional Québécois curds, but I like all kinds of cheese curds, so I was down with the melty mess. I liked the gravy that they used. It had a good consistency that wasn’t too thick or too thin. It also wasn’t too strong, so it didn’t leave you feeling too sick and heavy after. I thought the poutine was good and I would definitely order it again. If you have a soft spot for McDonald’s fries, it is worth trying. Yes, for good fast food poutine.